Fifteen year-old Cait Weerd has no idea the undain are hunting her. She doesn’t know the vile creatures need her blood to survive. She doesn’t even know she’s a witch, descended from a long line of witches. Cait Weerd doesn’t know much, but all that’s about to change. 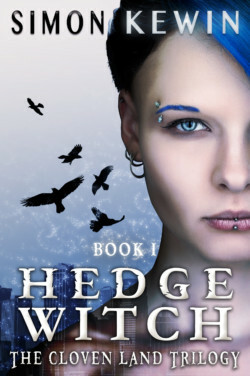 At Manchester Central Library, she’s caught in the crossfire between the witches and the undain, two worlds fighting for an old book. Cait takes the book and is told to run, hide the book or destroy it. The undain’s secrets are buried in its pages, and they want it almost as much as they want her. The fate of two worlds is at stake. Along with definitely-not-a-boyfriend Danny, Cait has to decide what to do: run, fight, or hope it all goes away.